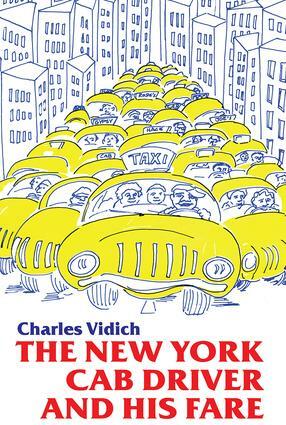 Using information derived from research and interviews with cab drivers, Vidich has written a basic work on New York City cab drivers (hacks) that also provides passengers (fares) with a survival manual. Cab drivers are quoted by newspaper columnists, politicians, and at dinner parties; yet a hard look at the profession and its role in the transportation system of the city has been completely lacking. Vidich brings out in clear language the conflicts between the cab driver's position as a dispenser of a public service and his needs as a working person subjected to violence and pressure. It is difficult to imagine a more enjoyable introduction to an industry whose members are a folk tradition. At the same time, this book provides insight into the history and sociology of an important urban institution. It is a book about cab drivers everywhere; and cab drivers and fares in all cities have a new handbook in this volume.